Word of mouth marketing is an age old marketing technique that has stood the test of time to remain the most effective form of marketing. Word of mouth marketing retains its power in the purchase behaviour of customers because it is based on trust. Trust is a very important factor that governs all business relationships. Customers repeatedly buy products from a brand that they trust and avoid the one on which they have negative perceptions. They also trust the recommendations about a product that is made by their peers. In fact, research into customer behaviour has shown that peer-to-peer recommendations enjoy a trust rate of 94 percent. It then naturally follows that their purchase decisions are not entirely their own as they are a response to recommendations made by their friends. On the other hand paid advertisements only have a trust rate of 47 percent and marketers should watch carefully where they are investing their budgets in. Marketing has changed radically as digital marketing tools like social networking platforms have become prevalent. How can brands use social media to influence word of mouth marketing? The social media revolution has added fuel to the word of mouth marketing fire. Social networking platforms like Facebook, Yookos and Twitter are very effective in this regard. 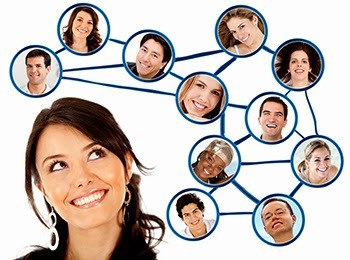 Social networking activities are driven by relationships between people with shared interests or common demographics as well as psychographics. This means the trust factor is largely present in their social interactions. Conversations between these connections include social stories and their experiences with brands. When a social network user on Yookos for instance enjoys a pleasant stay at a hotel on vacation, he or she will upload pictures and put up status updates showcasing the wonderful experience. This in turn influences his or her connections to book at the same hotel on their own vacation. Considering the number of friends one has on a social networking site, the reach of the post goes to tens of thousands. This creates the cherished advocacy at the bottom of the marketing funnel that will result in increased brand awareness and lead generation for the brands. Conversely, users can also share their negative experiences with a brand and this can lead to a catastrophe if the disgruntlement is not properly managed. A classic example is the “United Breaks Guitars” video protest song that was created by Dave Carroll after United Airlines had broken his guitar but refused to compensate him. The negative feedback caused by the Youtube video resulted in the Airline’s shares dropping by over 10 percent. However, negative feedback can actually be turned around and promote a product if it is handled with skill and timeously. Negative comments should not left unattended for a long time. Given the power that word of mouth marketing has in generating high sales volume, marketers should add social networking platforms like Yookos, Youtube and Twitter to their marketing mix to create strong emotive bonds with their clients. These tools have the potential to foster customer satisfaction, trust and commitment which builds a strong foundation for word of mouth marketing. Many people are accessing the internet via their mobile phones and social networking is their number one online activity. This has widened the target market that brands can tap into to make their businesses more profitable. Word of mouth marketing spreads liked veld fire in these online networks. Word of mouth marketing has also forced brands to pay more attention to their customers and satisfy their needs. This has made a positive impact on the quality of the products leading to happier shopping experiences.